Several rare lots of Champagne Bollinger, including a bottle of the 1914, were the main feature of Sotheby’s auction in New York at the weekend. The sale was the house’s last fine wine auction of the year in New York and the combination of rare Bollinger and a wide array of fine Burgundies saw the sale realise $3.8 million, driving Sotheby’s New York sales’ total for the year to $34m – the second highest figure in the house’s history since it began wine sales in the city. 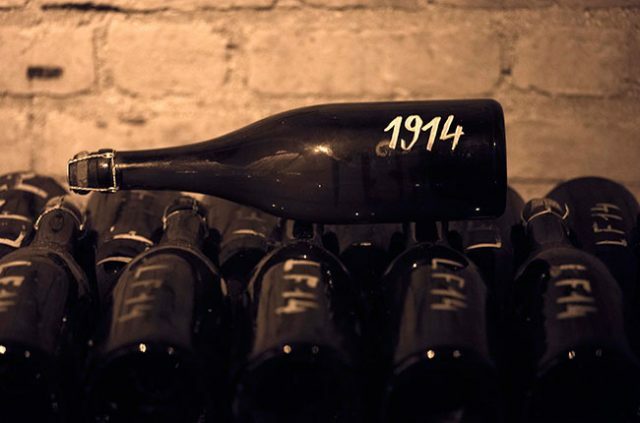 Highlights of the Bollinger consignment included the bottle of the 1914, which also included a visit to the estate, which went for $12,250; a Jeroboam of 1979 RD for $6,738 and three bottles of 1973 ‘Année Rare’ went for $5,145. The best-selling lot of the night was a 12-bottle case of 1966 Chambertin from Armand Rousseau which realised $58,800 (against a high estimate of $35,000); another full case of 1965 Romanée-Conti from Domaine de la Romanée-Conti made $42,875 while a six-bottle case of 1999 La Tâche went for $26,950. A magnum of Henri Jayer 1985 Vosne Romanée Cros Parantoux sold for $21,000. Several lots were also sold for the benefit of the new Cité du Vin in Bordeaux. They included a five-litre bottle of 2000 Mouton Rothschild and a trip to the estate which went for $20,000, while a six-litre bottle of 1999 Pétrus and lunch with the Moueix family made $32,000. Meanwhile, a magnum of 1961 Haut-Brion made $6,000 and another magnum of 1947 Cheval Blanc realised $32,000. Jamie Ritchie, worldwide head of Sotheby’s Wine, commented: “It was an honour to offer the first wines ever released for auction direct from the cellars of Champagne Bollinger. We saw strong demand from champagne lovers, who will now enjoy these wines that are in perfect condition. The sale included 202 lots of wines from Domaine de la Romanée-Conti which saw equally strong demand, selling for an average 142% of the low estimate and totaling $1.7 million, with an average bottle price of $2,173. Further highlights included a full original case of Chambertin, Rousseau 1966 which brought close to $60,000.